“The rich get richer and the poor get poorer” is a catchphrase and proverb, frequently used (with variations in wording) in discussing economic inequality. 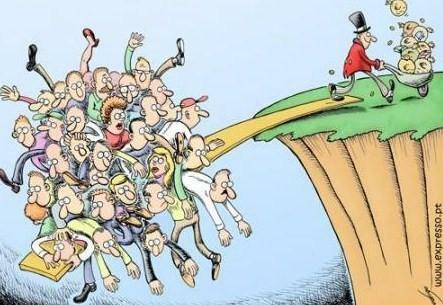 Its most common use is as a synopsis of socialist criticism of the free market system (or “Capitalism”), implying the inevitability of what Marx called the Law of Increasing Poverty. Catalyst House: A Bit of History! July 16, 2011: With the release of the Summer 2011 newsletter The Catalyst!, CAT turned 12 years old – July 16th 1999 was the official launch of Catalyst House, when a small eclectic (and eccentric) group of visionaries and innovators decided to engage in a new business model that emphasized philanthropic entrepreneurship, social justice, and a bit of radical chic. For the past 3-years, our CAT eNEWS has emphasized ‘small business intel’ – but our 12th birthday marks the return of our traditional editorial bent – mid market service and integration, strategic alliances, and more! No, we certainly haven’t abandoned our small business guidance role – Small Business Intelligence and Updates are alive and well at our Catalyst House Blog, the ADMAX Marketing Blog and the www.CatalystHouse.BIZ Blog. Volume-1 Issue-1 September 1999 may be found here. Lynnea Bylund initially started Catalyst House, Inc., summer of 1999, while she lived in Cambridge, Mass. shortly after she returned from Brazil, working on a very special project with the First Lady of Brazil and her senior staff. Lynnea received a call from a White House laiaison as a result of my wireless trade association background, and the PCS license win, and relationship I created with her, to put together a Hi-Tech business delegation for a Presidential Trade Mission between the Asia/Pacific region. When she got the Trade Mission she was told that she needed to be a US based company in order to be on the Trade Mission. So Catalyst House was born. The vision broadened as the idea formed to assist small and medium sized companies towards entering into the global market place and assist them in the process of accessing capital. We initially started Catalyst House, Inc. in the summer of 1999 while I lived in Cambridge, Mass. shortly after I returned from Brazil, working on a very special project with officials of that country and the founder of AOL. In a world where bad news floods us, it’s great to see positive moves toward hemp legalization and cultivation, not only in the United States but also in various other places globally. Many countries, such as Hungary, France and Canada, have been years ahead of the U.S. in sensibly recognizing the value in growing the hemp plant for a wide variety of purposes, from fiber to oil to seed, food and medicine. I must make the usual disclaimer that by hemp, which comes from the cannabis genus but which contains insignificant amounts of the psychoactive chemical THC, I am not referring here to medical marijuana, which itself has merits on its own. As a one-time denizen of Southern California who worked passionately as a hemp activist for a number of years, including faxing hemp information sheets to numerous law offices in the area, among other activities, I am delighted to see industrial hemp blooming into a potentially rich future harvest. In 1994, I stood up at a Jerry-Brown-for-President press conference in Los Angeles and asked Brown – who was standing just a few feet away – whether or not it was time to look hemp as a means to solve many of the world’s resource problems. I’m told there’s a video of the exchange somewhere on Youtube. Adi Da’s message in Not-Two Is Peace is not merely that human beings should resolve the world’s urgent crises, but that we must do so in a radically new way. He speaks to many of the same global issues discussed by numerous contemporary authors, but His writing addresses these issues at the “root” level, thereby elucidating the fundamentally egoic forces behind humanity’s dangerous trajectory. In so doing, Not-Two Is Peace proposes a profoundly new paradigm for world change and a cohesive program of solutions that reflect Adi Da’s comprehensive and penetrating understanding of the workings of the earth-world. Slideshow of the Sublime Bodily Form and Image-Art of Avatar Adi Da Samraj. The Bank of North Dakota may seem like a sole-surviving relic of a bygone era. As a “state-owned” bank, it offers discounted loans to farms and agriculture, students and education, andsmall companies. It serves as an important economic development agency and a “banker’s bank” that reduces the loan risks of private banks and assists the private banks to finance bigger business projects. The Bank of North Dakota had over $5 billion in assets and a $4 billion loan portfolio at the end of 2009, and it made nearly $60 million in profits in that year, setting a record for the seventh straight year. This was at a time when the entire banking and financial sectors were reeling from the collapse. Over the past 10 years, the bank channeled over $300 million in profits to North Dakota’s state treasury. Google Will Know What You Seek BEFORE You Do! Inside Google’s search quality group, Amit Singhal heads up the main search-ranking team, which is who creates those infamous algorithms that you hear so much about these days. Amit’s division ran some 16,000 experiments in 2010 that attempted to adjust those mathematical formulas, ultimately producing over 1000 greater and lesser changes in Google’s search formula. 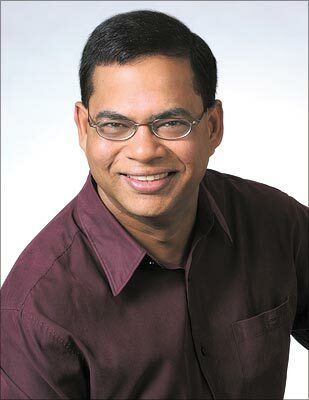 Dr. Singhal, a former researcher at AT&T Labs (the former Bell Labs), joined Google in 2000 and now is a Google Fellow, a title reserved for its most accomplished engineers.Eleven years on, the search guru is still obsessed by information retrieval – the name by which search was known in academic circles until the advent of the internet in the late nineties. “The big issue is semantics—the idea that sleep, sleeping, and running are all variations of the same fundemental word. This has been researched intently by academia for over five decades. In my academic life, I said, of course, apple means the same as apples,” reminisces Singhal in a 2009 Business Week interview.